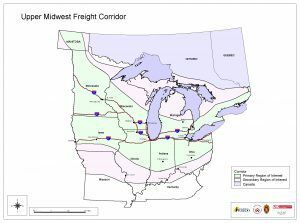 The Upper Midwest Freight Corridor Study (UMFCS) concluded on October 31, 2006 with the submission of the project’s final report. Begun in 2003, the UMFCS was dedicated to meeting the challenges of freight movement and economic vitality in the Upper Midwest. The seven states of Ohio, Indiana, Michigan, Wisconsin, Illinois, Minnesota, and Iowa, as well as the provinces of Ontario and Manitoba, all participated in the UMFCS along with the Federal Highway Administration and researchers from the University of Wisconsin-Madison, the University of Illinois-Chicago, and the University of Toledo. 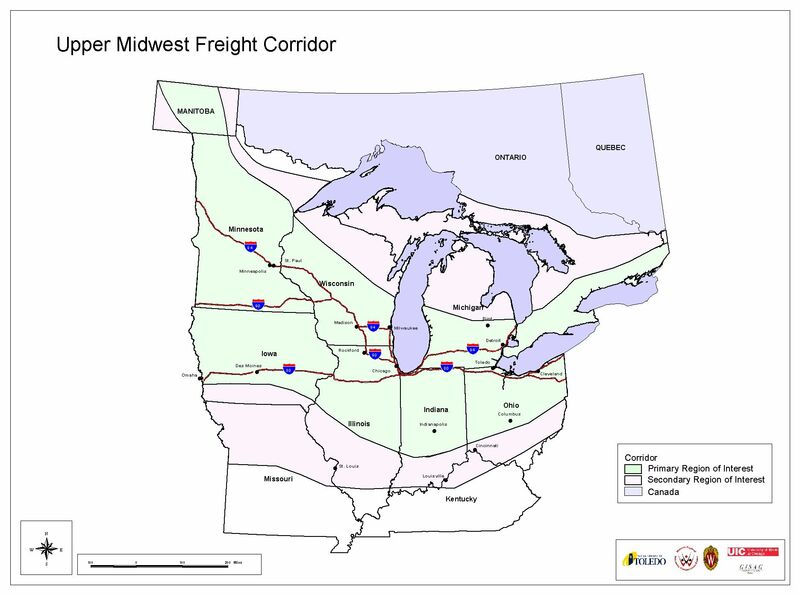 The Upper Midwest Freight Corridor Study’s efforts focused on developing capacity, regulatory, planning, and public/private initiatives to help meet the nation’s need for safe, efficient and sustainable infrastructure for the movement of goods.